I recently bought Investing Demystified by Lars Kroijer, a former hedge fund manager, who, by adding “How to create the best investment portfolio whatever your risk level” as a sub-heading, immediately captured my attention. It’s an excellent read, primarily because Kroijer advocates a very simple approach to investment. He maintains that as very few investors have any kind of ‘edge’, or advantage, when they’re parting with their hard-earned, there’s great merit in using low-cost exchange traded funds (ETFs) to achieve their investment goals. Nevertheless, I couldn’t agree with everything the author said; in particular his assertion that investors should avoid acquiring residential property unless they have that elusive ‘edge’. “Buying an [investment] property may mean compromising the portfolio…by increasing concentration risk,” writes Kroijer, who suggests avoiding residential property because you risk duplicating exposure to the property market “via your residence” and indirect exposure via his suggested ETF portfolio. It is certainly prudent for investors to avoid putting all of their eggs in one basket, but Kroijer’s dismissal of property investment doesn’t take account of the reasons why people buy it in the first place. Most property investors appreciate that, initially at least, it’s difficult to generate a decent income from a residential unit as rent tend to get gobbled up by mortgage and other costs. However, having established a toehold on the investment property ladder, those willing to take a medium- to longer-term view would expect to benefit from capital growth. This would appear to complement Kroijer’s view, not contradict it, even if you need to borrow to supplement the capital you intend using as a deposit. Most lenders will lend up to 80% of an investment property’s value and, as you may expect, the larger the deposit, the lower the interest rate charged. Let’s say we’re buying a property with a 5.0% gross rental yield for £300,000 and have a 50% deposit. Although that might sound a little high, the UK’s National Landlord Association suggest that around three-quarters of private landlords who own four properties or fewer have no mortgage at all. With a 50% deposit (£150,000), the buy-to-let landlord is unlikely to pay more than 1.49% interest on his mortgage; extending the loan over 25 years would result in a monthly charge of £602.56. If our gross rent is £15,000 (5.0%), we must deduct management charges of £1,800 (10% plus VAT), together with insurance and some additional minor costs (£250), as well as the annual mortgage expense of £7,230. This leaves a net balance of £5,720, or a 3.81% return on the investor’s initial £150,000 investment. Should our landlord opt for an interest-only mortgage, the annual loan costs fall to £2,235; with other outgoings remaining as they were, the net rental income jumps to £10,715, a 7.1% return on capital. Of course, many landlords may prefer to pay the loan off as soon as possible, forfeiting the annual rental income (in the above example, the net rent would repay the loan in 14 years). Clearly, using the interest-only option gives landlords an opportunity to overpay their mortgage when it suits them. You may think that investing a smaller amount of capital would result in a considerably lower return on your cash investment, though this is not necessarily true, even though interest rates are likely to be higher. Let’s assume that our landlord has a £60,000 cash deposit with which to buy a £300,000 property yielding 5.0%. In this case, he’s borrowing 80% of the property’s value and could expect to be charged interest of around 3.24%. Should he choose the interest-only option, his annual loan costs are £7,776, with other expenses amounting to £2,050, leaving him a net rental return of £5,174, or a massive 8.6% return on his £60,000 cash investment. That’s almost six times better than the highest-paying ‘easy-access’ current account return available at any high street bank. Which brings us back to the purpose of investing in residential property. The expectation of capital growth is high on that list. 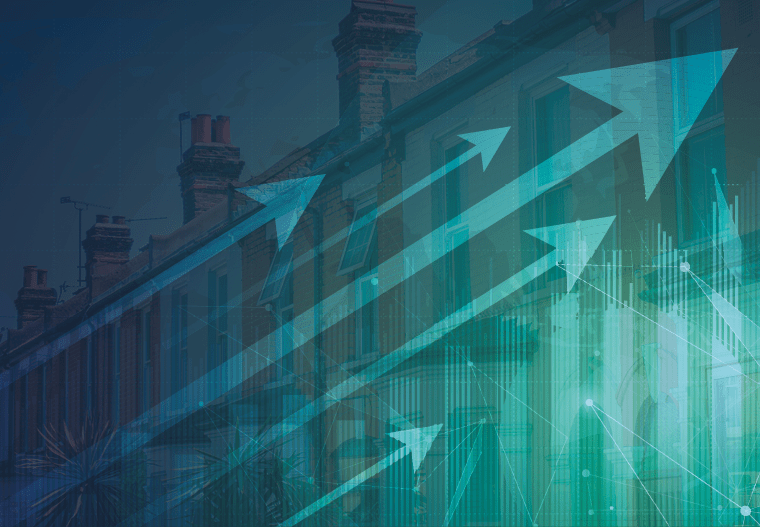 Property is by no means a one-way bet, but it’s reasonable to assume that over a period of say, 15 years, an investment property could achieve average annualised growth of 2.5%; that would make our £300,000 property worth £435,000. Granted, our landlord opting for an interest-only mortgage would still have a loan of £240,000 to clear, unless he used his net rent to reduce it every year, conceivably bringing the balance down to around £160,000. The landlord preferring the repayment mortgage could have done something similar, especially if he took advantage of an abundance of comparatively short-term discount deals. Perhaps the ultimate aim when creating an investment property portfolio is to eventually generate an uninterrupted, mortgage-free income and retain the option to sell at any time, thus generating a substantial capital sum. While the figures above have been rounded and take no account of taxation, mortgage or legal fees, generating an income over a period to help pay for a property asset and then choosing to either retain the income or cash in your chips sounds as simple to me as buying a portfolio of ETFs; little wonder that property investment remains as popular as ever. Hartford Homes is currently selling The Langley, a new build modern home in Ramsey, for £299,999. The property yields an annual rent of 5% (£15,000).